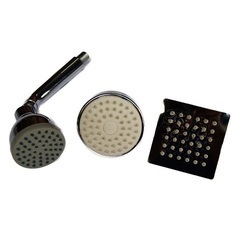 As an affluent entity of this domain, we are affianced in offering premium quality array of Shower Heads. We are using Interio Intelligent Sensor (IIS) integrated with shower head and faucet required no electricity to light led , it take power from water flow and the sensor detect temperature of the water and depend on the temperature of the water led light color will change automatically. We are engaged in offering a high-quality range of SS Shower Head to our esteemed customers. We are engaged in offering LED Shower Head. 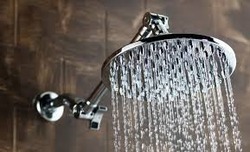 Relying on our expertise in this domain, we are offering Shower Head.